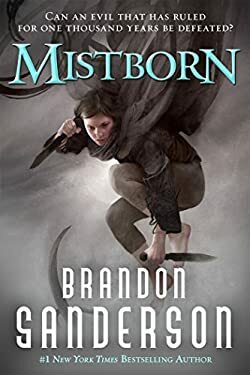 #1 New York Times bestselling author Brandon Sanderson's epic Mistborn Trilogy begins. Once, a hero rose to save the world. He failed. For a thousand years since, the world has been a wasteland of ash and mist ruled by the immortal emperor known as the Lord Ruler. Every revolt has failed miserably. Yet somehow, hope survives. Hope that dares to dream of ending the empire and defeating the Lord Ruler. A new kind of uprising is being planned'e"one that depends on the cunning of a brilliant criminal mastermind and the determination of an unlikely heroine: a teenage street urchin named Vin. Once, a hero rose to save the world and failed. This time, can a young heroine succeed?